Lomi Lomi is not just a course of study. It’s a lifestyle. Over the last 20 years of doing bodywork, I’ve had the extraordinary opportunity to study with many amazing teachers. Healers. Elders. Many Hawaiian masters. The work that I’m teaching today is a combination of the six lineages of teachings that I had the privilege of being able to experience within the history of our Lomi Lomi timeline. In ancient times, there was no Lomi Lomi course. It’s only been in the last 40 years that Lomi Lomi has even been taught outside of the family. Before that, each ‘ohana, family community, would have its own wisdom keeper. The kupuna would seek an apprentice and pass the knowledge from one generation to another. Now, we have Lomi Lomi happening in many places throughout the world. Many different styles and family lineages have come forward and even more are yet to come. So if you’re thinking to study this ancient Hawaiian healing art form, there at 5 important questions to ask before you start a Lomi Lomi Course. This Hawaiian healing art has roots in the movements of both hula, storytelling through dance, and lua, Hawaiian martial arts. Lomi Lomi is a system of unlocking the body and bringing it into alignment. The intention is to connect down to the level of the bones, where a person’s life force, spiritual power-Mana, soul story and DNA is stored. In this work, we invite an opening to release blocks and barriers. Passed down from elder to child within the family over years of study, a child was chosen at a young age to carry the family tradition. There was a healer in every village who was family but the entire community practiced Lomi Lomi. Kupuna, the elders, would work with mothers during childbearing years. Children would walk on parents backs when they came out of the canoe or taro patch. In lomi, we move the water in the body using flowing forearm strokes, flushing tissues and sinking through the layers to release the joints. Auntie Mahilani Poepoe shared that lomi was the act of lovingly massaging salt into the body of your loved one who had passed away in order to purify their journey into the next realm. Today we view lomi the same way. It’s as if we are working on our sister, uncle, grandparent assisting them into the next phase of their healing journey. Where does the lineage come from? A lineage teaching is one that is handed down from one generation to the next. Some people don’t even realize there are different lineages of Lomi Lomi. I have had students practice one style for several years and wonder why they must go back to the beginning when learning from another lineage. These teachings were held closely within families. Although there are threads of similarity, they are vastly different and distinct. Students who have learned from other instructors may feel lost. This Hawaiian proverb translates, “All learning does not come from one school.” If you are serious about learning lomi, it is a good idea to explore options. Do I have to be Hawaiian to practice Lomi Lomi? There was a time when our Hawaiian culture was suppressed. Our ancestors did not have a voice to share these teachings. Today, the number of Hawaiians left on the planet are few. All of my teachers believed that Aloha could change the world. They believed the time of protective secrecy that had preserved these teachings was over. They knew the world needed Aloha and our healing traditions now more than ever. Auntie Mahilani called them “Children of the rainbow”. These ambassadors of Aloha would be needed in all parts of the globe. If you are coming to learn lomi lomi with honor and respect, you are exactly the right person. Kupuna, the ancestors, are in gratitude for those who answer the call to carry the torch of healing out in to the world. Who would be a good person to learn Lomi Lomi? The person who is drawn to lomi is someone who is not just interested in pushing muscle. They are interested in working with the whole person, supporting the physical, spiritual and emotional bodies to come into alignment. Is Lomi Lomi right for me? The teachings of Ho’omana are based on our principles of aloha spirit. The work is based on scientific assessment and treatment of the body in a way that’s holistic. My intention is to bring these ancient teaching to anyone who is ready to hear. Anyone who is ready to answer the call. If you have no massage experience or training, that’s okay. Lomi has always been family work. Even young children can learn to Lomi! People come to my Lomi Lomi course, because they have become enamored with Hawaii. Even if they’ve never been here, they just feel a call to come to this paradise. Some of you might be thinking to try Lomi because it’s another modality. As a massage therapist, you have many choices. And some of you might be coming because you feel you want to bring more spiritual connection into your work. Lomi can be all of those things. There are even some who have been practitioners of lomi lomi in other locations for many years. Back in the 70s and 80s, there was a certain layer of teaching given out. But a lot was held back. There’s still so much more that people don’t know about our culture. They don’t know about our healing art forms. I’ve been given the kuleana, the responsibility, to help support another layer of teachings to come into the world. The ancestors wish to share more with their greater community. Their intention is to spread aloha spirit and the arms of Hawaiian healing around the globe. Just as those ancestors supported me in bringing my gifts to fruition, I am here to support you. My intention is to activate healers, not just to teach bodywork. I feel that anybody who has chosen to come and learn Lomi Lomi is here because they’re answering the call. I ask my students to look back into their history, into their lineage. I’m sure that they will find that there is a healer in their own family. Maybe a distant grandmother or uncle who is carrying that type of knowledge. They are the ones who have called you all the way here. You are reading this post today for a reason. Lomi Lomi was passed down through the generations of times from elder to child and elder to child here in Hawaii. It was also like that everywhere across the globe. And if you’ve been called to learn this healing art form, I I’m certain that there is an elder in your lineage, who called you here. They’ve called you all the way to this moment to be inspired. To step in to your healing gifts. To receive your birthright. Gain access to the gifts that can serve your world, your community and your family. 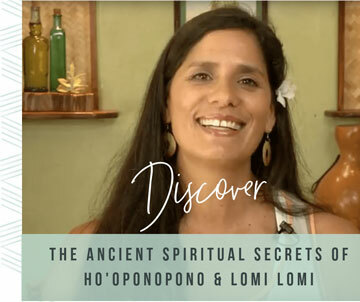 So if you are that person who’s wanting to expand your knowledge and expand in the realm of Hawaiian healing and spirituality, begin the journey to learn lomi lomi. Do you feel you are answering a call? Let me know in the comments below…I love to hear from you!